It turns out that The Order: 1886 wasn’t a “$100 steak”, like game director Dana Jan of developer Ready at Dawn had said. If reviews are anything to go by, it’s more like a $60 turkey (or £50 across the pond), with the likes of GameSpot calling the game “boring”, and Kotaku even describing The Order as “depressing”. 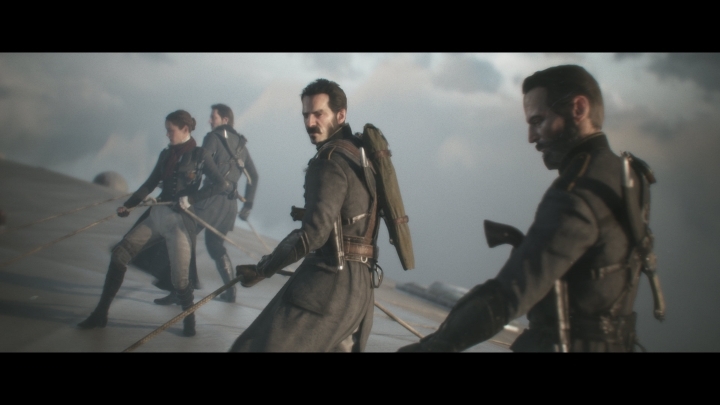 And while it is clear that The Order: 1886 is no masterpiece, at least it shines in the graphics department. Actually it is one of the best-looking games of this generation, and it may sate the appetite of those looking for a straightforward shooter and a showpiece game to show off their PS4. But there is no escaping the fact that the game’s Metacritic score is hovering in the mid-60’s, and that reviews from the major gaming sites have been pretty damning. The game got a lot of bad press early on when a YouTube user uploaded a complete playthrough of the game, claiming that it could be beaten in little more than 5 hours. And that got alarm bells ringing in an age of open world games like Dragon Age: Inquisition, that have enough content to keep players going for over 100 hours (never mind the filler though). Also early previews were not kind to developer Ready at Dawn’s game. The likes of Forbes ran an article in which it predicted that The Order would be one of the most disappointing games of 2015. And given gamers’ negative perceptions concerning the game’s short campaign length, The Order: 1886 simply had to be an amazing experience from beginning to end. And since the game wasn’t perfect by any means, it is not surprising that it wasn’t well received. But isn’t it uncanny how most of the major gaming websites were all in a negative mood about the game? Or was the game a victim of the fact that gamers were upset about last year’s disappointments such as Destiny and Titanfall, and wouldn’t tolerate another AAA game that failed to deliver? Regardless of the reasons, the fact that the game did not receive stellar reviews is not good news for Sony, as the company had hoped that The Order: 1886 would become the new poster child for the PS4. And given how successful the God of War series for the PS3 was, which was developed by the makers of The Order: 1886, it would be a disappointment for Sony if the negative critical reception leads to poor sales of the game. And now that Microsoft has dropped the price of the Xbox One, meaning that their console can be had for less than a PS4 in the US and the UK, Sony cannot afford to rest on their laurels, despite the fact that the PS4 has been massively successful, with an installed user base of 18 million. But in the last generation, the PS3 managed to catch up to the Xbox 360 when it came to sales, and this was due to strong exclusives like The Last of Us. Microsoft could play the same game this generation, if it keeps coming up with solid exclusives like Titanfall and Sony’s PS4-only games like The Order: 1886 turn out to be disappointments. But in the end though, all the negative critical reception The Order got might not matter one bit. It turns out that the game is selling very well, having reached the top spot of the UK charts according to Eurogamer. It seems a good marketing campaign and a dose of controversy go a long way. All press is good press, after all. Next: Batman: Arkham Knight Gets “Mature” Rating – How Adult Is It?